New Inclusive Church 'Gender' Resource out! The Inclusive Church network has been busy publishing a series of resource books for congregations and individuals. Rachel is very pleased to contribute to the latest book, on Gender. 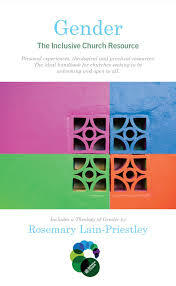 The Series editor is Bob Callaghan and the Gender book includes a theology of gender written by Rosemary Lain-Priestley. It can be bought here or at all good bookstores.